The New York State Attorney General’s Office is demanding that GNC, Walmart, Walgreens, and Target remove store brand herbal supplements from their shelves after the pills were found to be packed with a strange array of fraudulent—and in some cases hazardous—ingredients. Popular supplements such as ginseng, valerian root, and St. John’s wort sold under store brand names at the four major retailers were found to contain powdered rice, asparagus, and even houseplants, while being completely void of any of the ingredients on the label. It’s fairly baffling as to how this situation came about, and came to be so widespread. 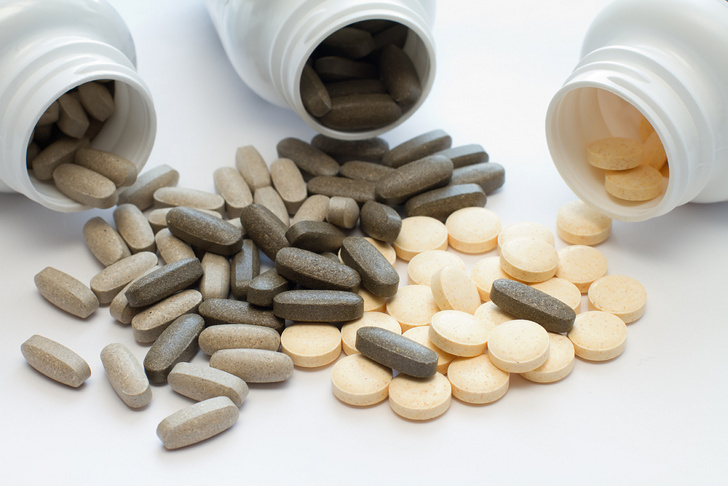 But what we do know is that while supplements are exempt from the strict regulations imposed on prescription medications, manufacturers and retailers are required by the FDA to correctly label all ingredients. But using DNA bar coding, the FDA was able to determine that highly popular supplements sold at major retailers are in clear violation of these requirements. At GNC, the agency found a number of unlisted fillers, including powdered legumes—a potentially significant hazard for those with peanut or soybean allergies. At Target, ginkgo biloba, St. John’s wort and valerian root contained none of the advertised ingredients, and instead were made up of powdered rice, beans, peas, and wild carrots. In other words, a fairly healthy diet if freshly cooked. At Walgreens, ginseng pills are quite simply powdered rice and garlic. At Walmart, ginkgo biloba was made up of powdered radish, houseplants, and wheat, while being labelled as wheat- and gluten-free. In the meantime, you may start to see some of your regular supplements disappear from the shelves as New York pushes forward with its efforts to get fraudulent items off the shelves. check out www.thepinkdifference.com for good quality REAL supplements that are changing lives with their amazing ingredients. I will never buy a supplement from GNC again . bunch of crap and fillers ! Well stated:(Jesse Knight). Look at the source who's behind the article and you will find a path to deceit.Just like Jesse stated: "The real problem here is that the testing was done by the FDA". "Enough said". Kuddos Mr. Knight. You are definitely what is correct in this world of illusions. Sounds like a great opportunity to grow these things right here, and perhaps market them at the local farmers market in their raw form. Aside from the faulty testing procedures of the Government, which in an ideal world would result in a massive, embarrassing lawsuit...the real problem here is that the testing was done by the FDA. If a company is falsely labeling it's product, it falls under the Federal Trade Commission's (FTC)jurisdiction. Big Pharma's biggest champion, the FDA, has no jurisdiction here, but is clearly trying to get it with this bogus "find". Remember, the FDA purports to be all about "safety". The WORST that comes out of ingesting some rice flour (even if this article was correct) is FRAUD, not death. And that's the FTC's job. It's "follow the money"... and Big Pharma, who now virtually funds the FDA with the Prescription Drug User Fee Act, has the most to lose with these these very efficacious supplements. Most of the new drugs they are coming up with are BASED in the natural ingredients in these plants. Like the Yew tree mentioned in the article treating Cancer. But they can't get patents on plants and re-sell them to us consumers at ten times the cost. And THAT is the FDA and Big Pharma's end game. @donna. Click on where it says "New York Times" in the article. Then click on the word "Letters" in the next article. This is one of the reasons I don't go to the supermarkets for supplements. I do my research online using peer-review studies to ascertain which things are effective, and search for proper retailers oriented towards production of supplements (such as NOW FOODS). I agree with James. DNA does not dissolve in either methanol or ethanol, both of which are common solvents used to make herbal extracts. So not finding any DNA of the parent material is a matter of course, not a revelation, and says nothing about the quality of the product. And even whole herb products are often subjected to heat treatment to kill bugs or pathogens which can damage or denature DNA and thus yield skewed results on a DNA test. DNA testing is most appropriate for use with incoming raw material before processing but is of very limited use for testing finished products. There are scientifically valid methods for testing finished products but whatever reason, the AG's office chose not to use them. Also, your post, even as it stands, contains a serious error. You attribute the testing done to FDA; FDA had nothing to do with this investigation. Indeed, if the agency had been consulted I feel confident they would have advised the AG's office to go about things differently. The testing was done by an academician whose expertise is in reptilian and dinosaur DNA. He has no apparent expertise in testing botanical materials. Are people really this uninformed? This episode is likely to be an embarrassment to New York State, and I wouldn't be surprised to hear of lawsuits for slander in the coming days. The herbal products that were listed in the complaint were, as far down as I read, all EXTRACTS of the respective herbs. There is no reason to expect plant DNA in these products. The chemicals -- active or not -- were EXTRACTED from the DNA-containing cells, dried, and put into capsules. For this same reason, we would not expect to find DNA of the yew plant in the breast cancer drug Paclitaxel, which is derived from an extract of the yew plant. The finding of no plant DNA should actually be a positive in an herbal extract, not a reason to pull them from the shelf. Whether the herbal extracts are active or not is not required to be proven. If they were active and claimed to be so, they would be classified as "drugs," and the FDA would prohibit that claim. So no substantial claims of efficacy can be made for dietary supplements, anyway. Donna, it is all of them, there are no supplements worth spending any money on. Even a junk food diet has all the vitamins and minerals you need. Donna Perkins, it says right at the beginning of the article it is the store's own brands. For those who have been taking these supplements faithfully and swear by the results. This shows the manufacturers don\\\'t really believe the real thing works. So just sell placebos at inflated prices. The "plants" are used to allay suspicion of the workers in the packing plant. Please tell us the brand names so we can clean out our medicine cabinets! The New York State Attorney General's Office is demanding that GNC, Walmart, Walgreens, and Target remove store brand herbal supplements from their shelves after the pills were found to be packed with a strange array of fraudulent—and in some cases hazardous—ingredients. 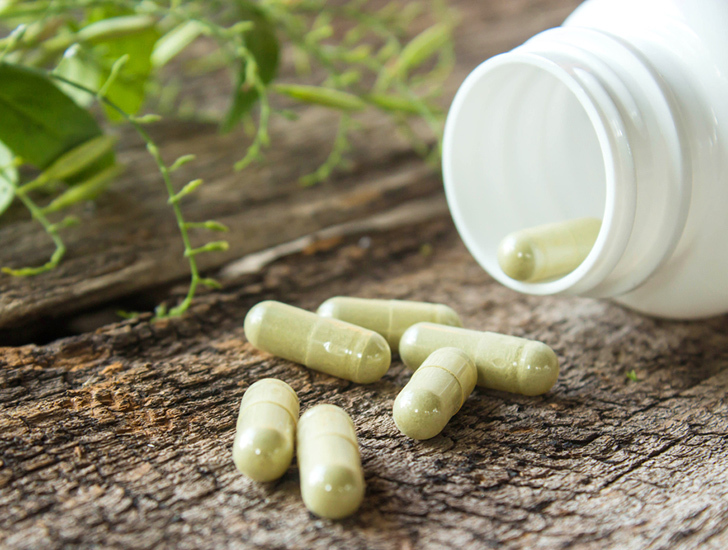 Popular supplements such as ginseng, valerian root, and St. John's wort sold under store brand names at the four major retailers were found to contain powdered rice, asparagus, and even houseplants, while being completely void of any of the ingredients on the label.